apartment as CNN’s correspondent tapped an interactive map, coloring Pennsylvania red. Last fall’s presidential election came as a shock to many, but for me the blow came when my home state cast its electoral votes for the Republican candidate. I still can’t say that I’ve made the mental leap to thinking of Pennsylvania as a red state. That’s not the case for Jason Altmire. The former Democratic member of the House of Representatives for Pennsylvania’s previous Fourth Congressional District says he saw the local political shift coming. Autopsies of presidential electoral defeats are abundant — and Altmire certainly isn’t the first to emphasize southwestern Pennsylvania as a key factor in Hillary Clinton’s loss. But his upcoming book, “Dead Center,” offers a rare perspective on what happened with coal-country Democrats from someone who represented them, even if the fixes he proposes might not always go far enough. 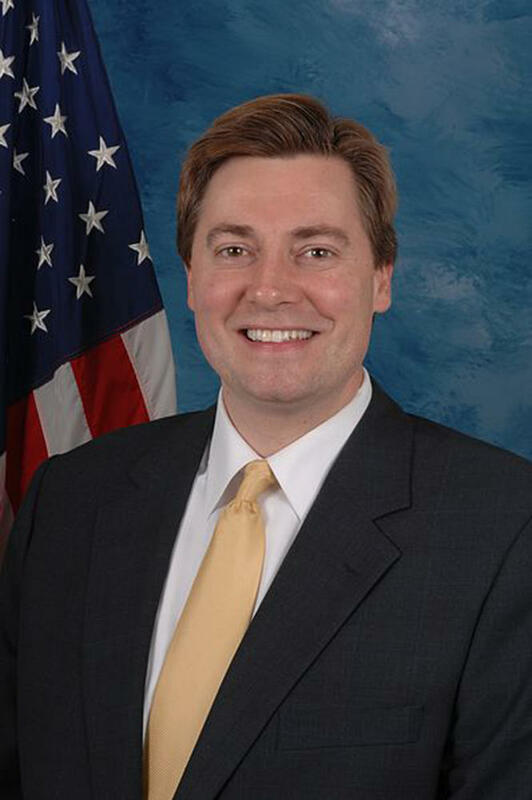 Altmire’s congressional career spanned three terms and six years, from 2007 to 2013. During that time, he developed a reputation as a “centrist” and the second-most conservative Democrat in the House — something of which he’s intensely proud. After surviving the Tea Party surge in the 2010 midterm elections, he was forced out when redistricting pitted him against fellow Democrat Mark Critz, formerly of the 12th District. Perhaps not surprisingly, then, gerrymandering is one of the issues Altmire said he addresses in his new book, set for release Oct. 3. His former district is now among the most gerrymandered in Pennsylvania — one of the worst states in the country. Altmire’s focus on the voting rules isn’t just limited to redistricting reform, though. He talked at length about tweaking primary and voting rules to get more people to vote — something he claimed would benefit centrists like himself. Those changes in California came after a 2010 referendum, changing the state’s primary structure so that all candidates appeared on a single list instead of being segregated by party. All voters choose from the single list, and the two candidates who receive the highest votes move on to a general election. While there’s some merit to Altmire’s focus on procedural changes, it’s questionable that a switch on the rules used in primaries would be enough to ensure a Democratic political resurgence. Even the current ones favor Republicans nationally, despite Democrats consistently winning more votes. But California’s fix isn’t necessarily foolproof — the editorial board of the Los Angeles Times noted last year that the state’s “jungle primary” system also favored Republicans, who typically split their vote between fewer candidates than Democrats. Altmire doesn’t totally limit himself to a focus on voting rules, though. His most convincing argument comes as a plea to more liberal Democrats in cities and on college campuses. He said they need to recognize both the similarities and differences between their views and those of more conservative Democrats in counties around the city. Altmire called out Democratic leadership and the party’s progressive wing for consolidating ideologically to the point that conservatives in the caucus no longer felt welcome. To some extent, he’s right. The treatment of current U.S. Senator Joe Manchin, D-W.Va., represents an example of this urge to push ideological unity on the Democratic side. Manchin, one of the most conservative Democrats in the Senate, regularly receives threats from progressives who want to unseat him and run a more left-leaning candidate in his place. It’s possible to include both progressive city dwellers and the more conservative population surrounding Pittsburgh in a Democratic coalition without abandoning our values. The way to do that doesn’t lie with suppressing moderate or progressive points of view, but with being vocal about your own to ensure that your voice is heard. Altmire also suggests the answer to winning back conservative and moderate Democrats in the region doesn’t lie in deception. The former congressman recalled meeting with former Rep. John Barrow, D-Ga., at his congressional orientation. When it comes to political coalitions and making compromises, there aren’t many easy outcomes. Altmire’s new book doesn’t necessarily have all the answers — he doesn’t know just what a Democratic Party reinstated in power would look like. But at least he knows how we might get there. Henry is the Opinions Editor at The Pitt News. Write to Henry at hgg7@pitt.edu.